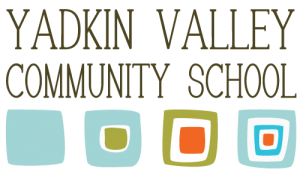 The curriculum for the Yadkin Valley Community School is Montessori-inspired. The curriculum generally follows the progression taught in Montessori schools, classes are multi-age, and children are allowed to advance through the material at their own pace. Our teachers address each child’s individual needs and inspire them to be curious and to explore subjects more deeply, leading to a life-long love of learning. As we cover the curriculum, we use a variety of methods and hands-on teaching strategies. For example, geometry may be taught through quilting; fractions may be taught through cooking; a history lesson may be taught by putting on a play; and land formations may be taught during a field trip to Stone Mountain State Park. The idea is that our students will understand concepts and develop critical thinking skills through experience. They are also allowed to try, fail, try again and improve through the iterative process. SUPPLEMENTAL READING: We encourage our families to read together. This is a list of classics for the whole family, and math classics for children. Enjoy!